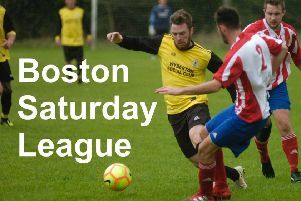 Saturday saw Coningsby Reserves play host to Swineshead Institute A in what turned out to be an eventful Boston League game. With only five minutes on the clock, Coningsby’s Sean Taylor captured a ball coming in from the right wing and deftly tapped it in the goal, only for Swineshead to almost immediately reply by scoring from a free kick. Jamie Todd belted a ball in on the half hour for Coningsby’s second, with Nathan Garfott scoring from a corner only five minutes later. Garfott repeated this effort just after half time and Danny Cottingham scored the Reds’ fifth in the same manner with 25 minutes left to play. Todd notched his second 10 minutes later and a further two minutes’ play saw a corner ball give Brendan Rylett the chance to get his name on the scoresheet.